Looking for a vertical assault weapon? You’ve come to the right place. These Danner Men's Flight Assault (DFA) 15404 Black DFA 8 Inch GTX Boots were designed for this specific purpose. They’ll keep you warm and dry during extreme weather conditions, and you’l ... (see full details) (see specifications) #DNN15404. Looking for a vertical assault weapon? You’ve come to the right place. These Danner Men's Flight Assault (DFA) 15404 Black DFA 8 Inch GTX Boots were designed for this specific purpose. They’ll keep you warm and dry during extreme weather conditions, and you’ll get superior hexagonal low lug outsoles with their feature patent-pending Vertical Insertion Arrestor (VIA) technology inserts that provide abrasion-resistance and superior control in fast roping applications. These shoes have durable, low oil content nubuck leather uppers that are designed to meet the demands of fast roping, and they’re also combined with rugged 1000 Denier nylon uppers for lightweight comfort and mobility. Co-molded midsole plates in these black boots give you springboard toe return, impact absorption, and puncture-resistance. There are patent-pending Danner Descender outsoles that have a Vibram V-4 ultra-abrasion rubber compound that’s built right into the medial side arches of these DFA shoes for more fast roping control. As mentioned above, this multidirectional lug pattern on the soles of this men’s footwear also provides you with quick acceleration, as well as braking, in all directions. For support and reinforcement, your feet can rely on the bi-fit composite shanks and the polyurethane footbeds for stability. The soft footbeds are padded for comfort, and they’ll give you extra arch support. To maintain a cozy and dry environment, these black boots have 100% waterproof and breathable GORE-TEX liners that are engineered to keep your feet comfortable, even in not-so-ideal weather conditions. Cement down construction offers you with excellent durability in a lightweight package, giving you just 61 ounces of coverage. These 8-inch leather boots have a variable lacing system that locks into the heel pockets, providing you with a glove-like fit and superior control. 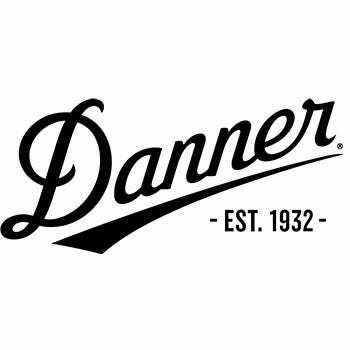 Since 1932, Danner has been doing it right. Now you can experience their vertical assault weapon and realize these are just what you’ve been waiting for all this time. Order your Danner Men’s 15404 Black DFA 8 Inch GTX Waterproof Boots from Working Person’s Store. There are extended sizes available for women, too. Get your Flight Assault boots asap! Ordered these for my hubby. He says he definitely loves them. He is a carpenter and does structural work...he is on his feet all day...walks and climb scaffalding a lot..high....way too high for my liking...oh back to the boots. He says they give great support, comfortable, light enough. He will be getting another pair. Danner Boots: Men's 15404 Black Waterproof Flight Assault 8 Inch GTX Work Boots is being added to your cart.